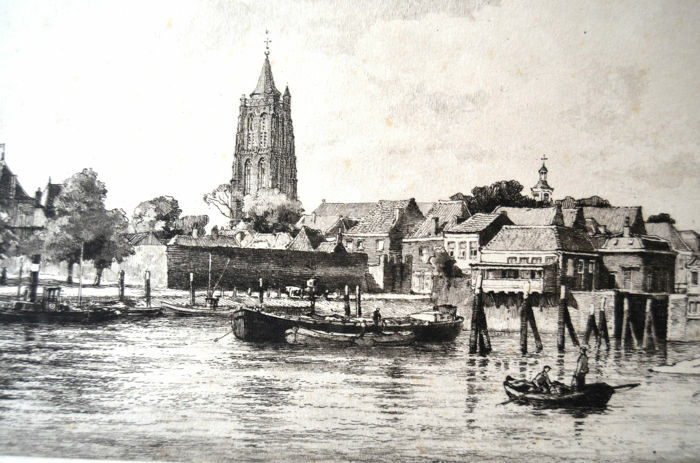 Signed in pencil on the bottom right; bottom left in the pencil: Gorinchem. 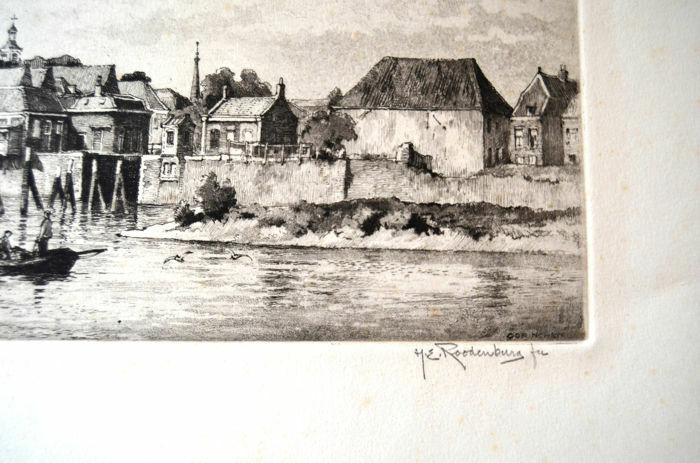 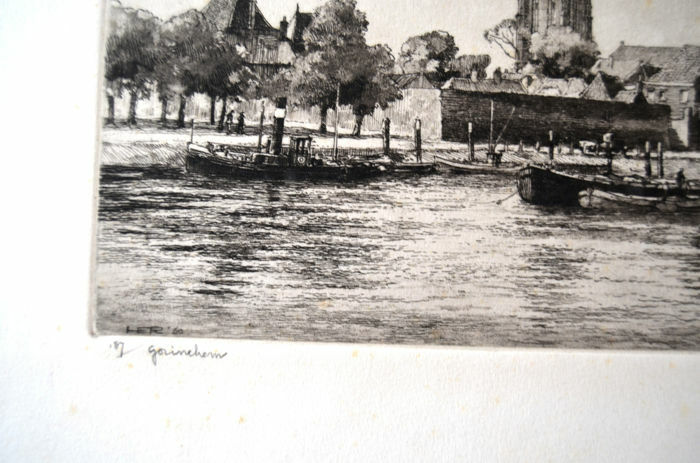 Hendrikus Elias Roodenburg (1895-1987) made numerous etchings (and paintings) by typical cityscapes in Amsterdam, Rotterdam and The Hague, but here it also a third etching with the quay and church of Gorinchem. 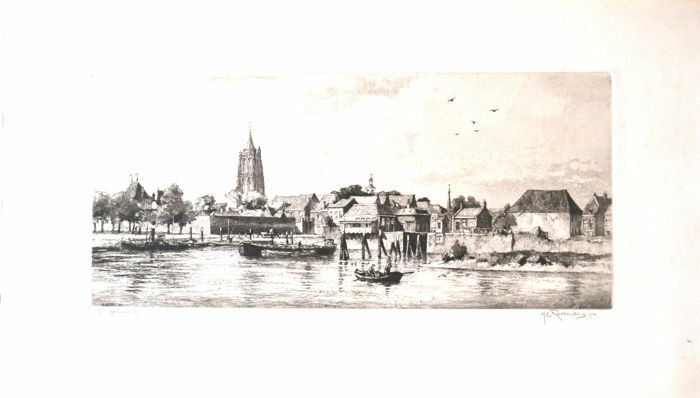 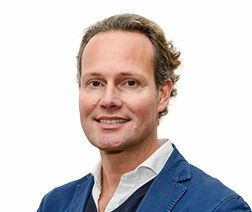 Sie können diesen Artikel auch beim Verkäufer abholen: HEEMSTEDE, Niederlande.